A luxurious choice among San Antonio hotels. Newly renovated by the hospitality design firm Rottet Studios. Our San Antonio hotel is where you want to be. 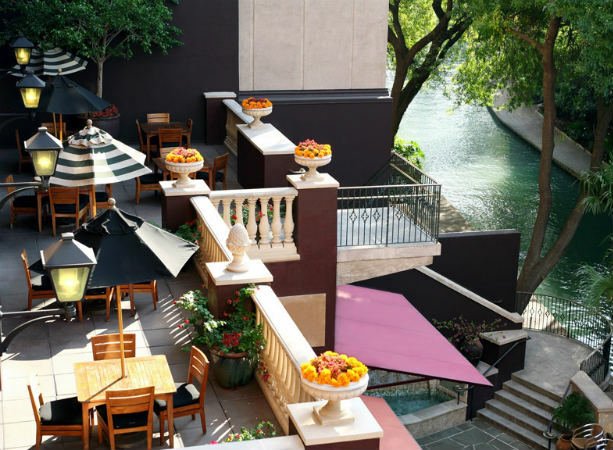 A Boutique Hotel on the banks of the famed San Antonio River Walk. Boasting 213 elegant guest rooms and complimentary Wi-Fi, our luxurious boutique San Antonio hotel is irresistible to discerning travelers. Steeped in history and charm, Hotel Valencia Riverwalk blends Spanish Colonial and Modern Mediterranean design with contemporary ideals. Our San Antonio downtown hotel's location on the quiet part of the River Walk keeps you in the middle of the action without sacrificing tranquility. 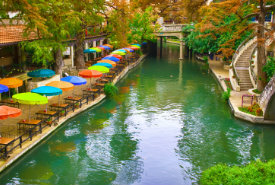 Surround yourself with dining, entertainment, and shopping offered along the vibrant banks of San Antonio's famed River Walk or visit nearby local attractions. Embrace the romance of the downtown architecture as you tour by horse-drawn carriage or river cruise. 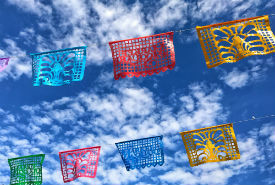 However you choose to spend your time in San Antonio, we’ll ensure it’s unforgettable. We take pride in delivering an impeccable experience rather than a routine hotel stay. The architectural craftsmanship and opulent finishes throughout the design of our hotel envelop your senses while our luxury amenities cater to your every need. With world-class dining and in-room spa services, you may find it difficult to leave at all during your stay, but when you do a bevy of options are just steps away. From meetings, groups and weddings on the River Walk, to romantic getaways, or business trips—whatever your reason for visiting, we’re here to make your San Antonio stay one you’ll remember. 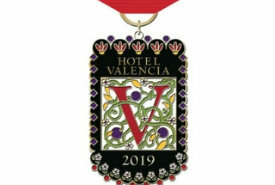 To learn more about us and our unique Valencia Group destinations, visit our on-line magazine, and then check our current rates. We are experiencing telephone difficulties. Should you need speak with the hotel directly, please call 210.220.3081. We apologize for the inconvenience. For reservations, please call 855.596.3387.